While recently exploring the city of Kuala Lumpur, I was faced with the task of choosing the most appropriate accommodation type – one which was easily accessible from the airport, offered easy and simple booking options and was within close proximity to restaurants, public transport, sights and attractions. 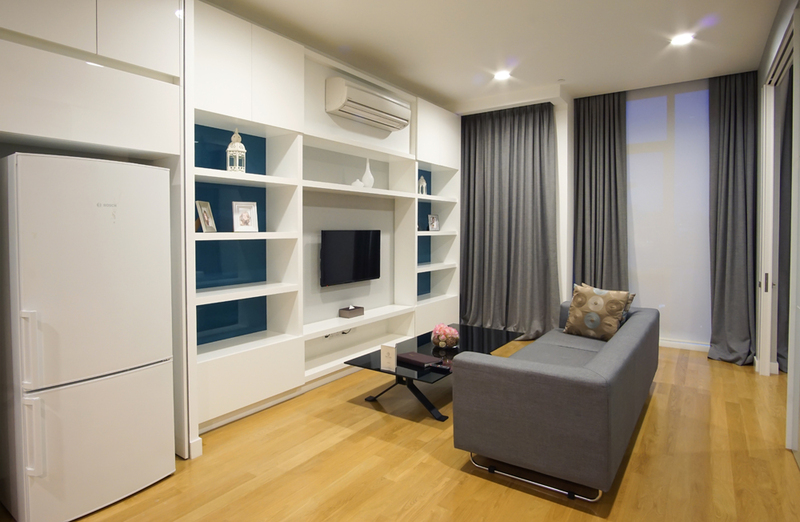 With a little help from friends, a few Internet searches and YouTube videos, I eventually chose, what I believe to be, the best accommodation in Kuala Lumpur city. Not only does this accommodation offer the height of class and luxury, but it also boasts THE BEST view in all of Kuala Lumpur, if not, Malaysia. I present to you – The Face Suites, Kuala Lumpur. The Face Suites Kuala Lumpur was a no brainer. The Face Suites is one of the best all around accommodation options I’ve ever had the pleasure of experiencing. From the view of the sky deck and grand entrance upon arrival to the luxury world class and immense suites and guest service options, these extravagant self contained suites situated ‘smack bang’ in the middle of Kuala Lumpur city will leave you speechless. I booked a two night stay with The Face Suites via the AirAsia website from as little as $207 AUD – an incredibly hard price to beat for such an upmarket and classy establishment for a two night duration. Back home in Australia, you’d be hard pressed to book accommodation in Brisbane city for anything close to $100 a night, so for me, splurging a little extra on accommodation was totally justifiable. The Face Suites are one of the newest accommodation options to launch in Kuala Lumpur city, offering guests a profoundly indulgent experience from the very moment you arrive. Once arriving into Kuala Lumpur, it’s an easy sixty-minute transfer from the airport into the city. Booking transfers was so easy – I simply emailed the reception team at The Face Suites, they gave me three car options for pickup and drop off, and I payed those fees upon checkout. Arriving into my standard suite was mind blowing. It wasn’t so ‘standard’, but more or less over the top for what’s considered to be their ‘basic’ room. I’ve never stayed anywhere that offers so much space and comfort. 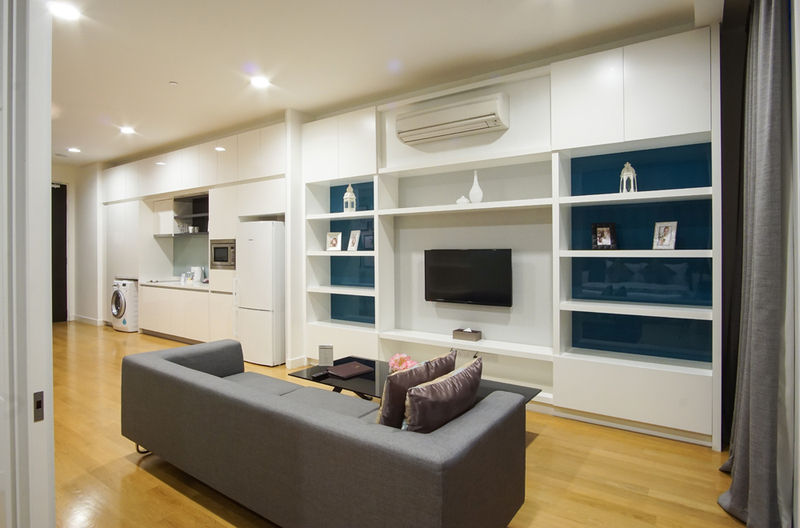 The entire suite is fully self-contained, allowing you to head out and shop for groceries to cook your own meals if you wish. There’s a great shopping centre one hundred meters down the road from the hotel, making it quick and easy to pick up any last minute groceries. If cooking isn’t your thing, try the local Malaysian restaurant at the intersection before reaching the shopping centre. Alternatively, the hotel offers a well-appointed cafe for your convenience. Water, coffee, sandwiches, pastries and juices are all available for purchase from 8am daily. Breakfast specials are a regular option – I bought a chicken and cheese croissant with salad, coffee, watermelon juice and any choice of pastry for 25 MYR ~ approximately $8 AUD. The room itself is noticeably enormous. The spaciousness is the first thing that caught my attention. You’ll find a standard king size bed with bedside tables, a large wall mounted TV, incredible modern lighting and fixtures as well as one of the largest bathrooms I’ve ever laid eyes on. Attached to the bathroom is a study should you require it for business and work purposes. Washing machine, dryer, kettle, microwave, fridge and toaster were all also available as a standard. 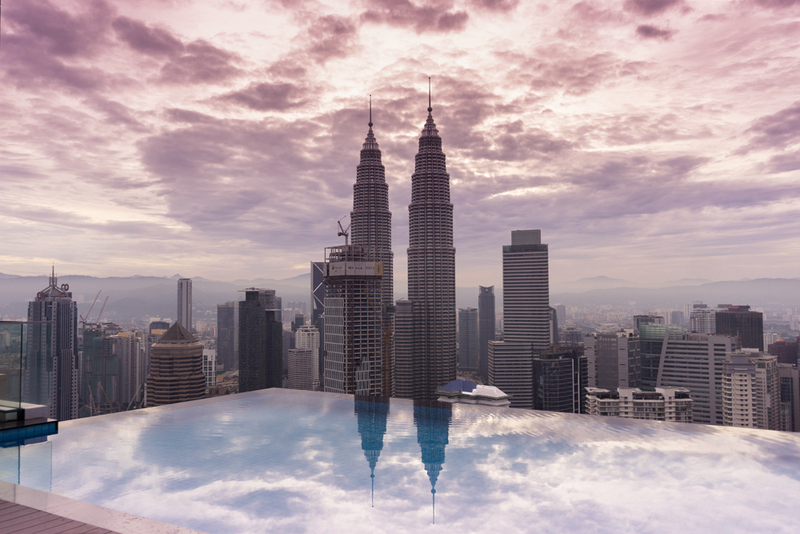 Without a doubt, the highlight of The Face Suites, Kuala Lumpur is the pool sky deck, located on the fifty -first floor of the building. Once arriving into the suite, I quickly recorded a vlog about the extravagance of the room and then immediately rushed to the elevator to the top floor to experience the skyline view. It did not disappoint. 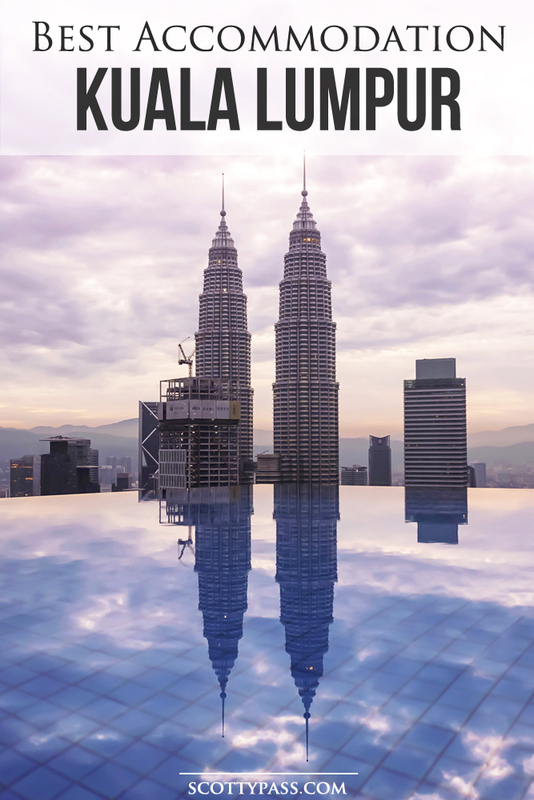 Direct views of the Petronas Towers lay right before your eyes, with views of the highlands in the distance. It’s a really popular spot for sunset and relaxing, so I’d recommend venturing to the top for sunrise to appreciate the view. 6:30am proved to be a great time to take it all in – not a single soul in sight. The infinity pool hugs the entire edge of the top level of the building offering the most draw-dropping cityscape view – a definite highlight if you ever visit the city. All in all, I could not fault The Face Suites, Kuala Lumpur. The service was exceptional, as was the room and facilities. 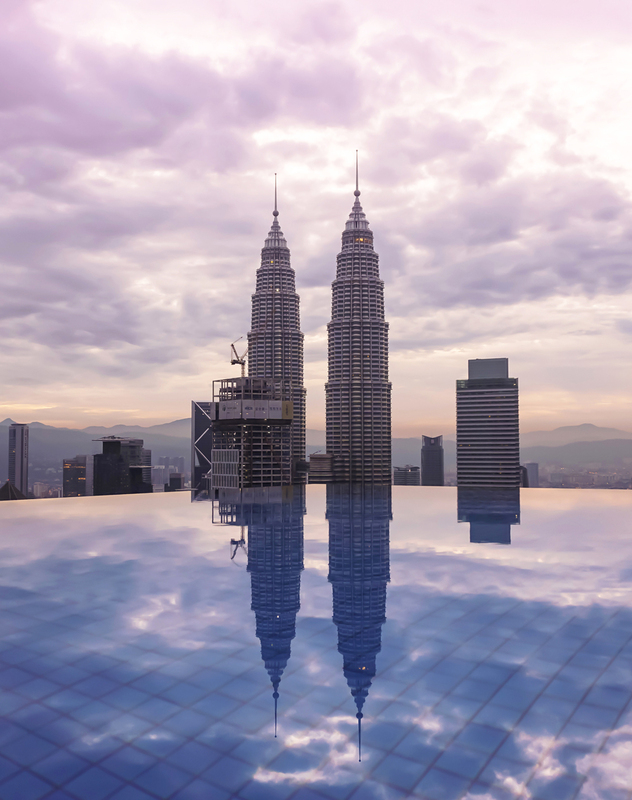 Keep an eye out for deals on their website or alternative booking options to score yourself a great weekend in the city, international stay or change up from the regular work week should you live in Kuala Lumpur. 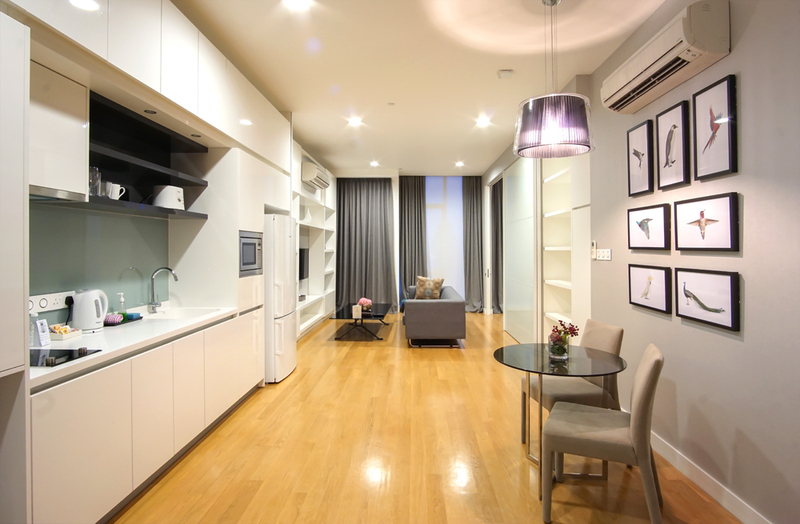 The Face Suites are conveniently located within close proximity to the Petronas Towers – an easy 15-minute walk and within reach of fantastic restaurants and world-class bars. I would absolutely recommend booking The Face Suites, Kuala Lumpur for your next Malaysian stay. If adventuring outside the city is on the cards, I would recommend visiting the Cameron Highlands if you can spare the time. It’s a full day guided tour commencing at 8am and returning at 8pm. The tour sees you stop off at many tea plantations with endless views of the incredible highland landscapes in what is sure to be an amazing Malaysian experience. If travelling solo, the tour will set you back around $190 AUD (approximately 600 MYR). Discounts apply when booking with a group. All tours are available for booking via The Face Suites reception desks. This entire trip was made possible all thanks to the team at AirAsia. Head on over to their website to explore the best flight and accommodation deals for your next trip. To read about my in-flight experience with AirAsia from Gold Coast-Kuala Lumpur, click on the link here for further information and what to expect. 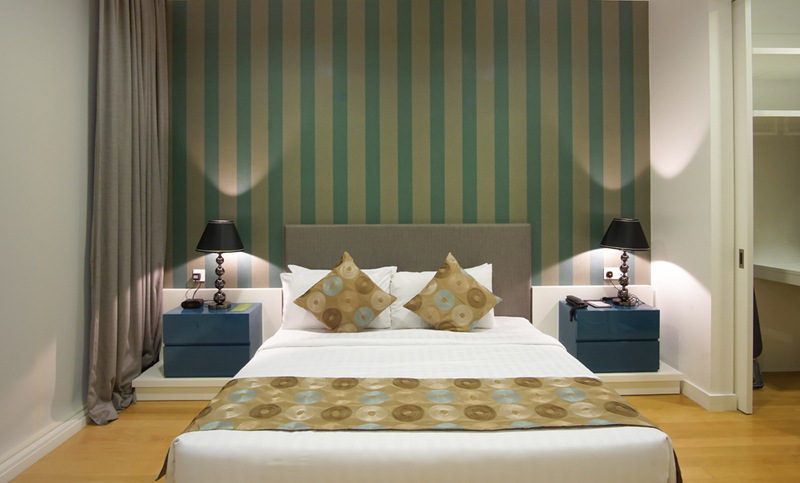 Book your next stay here at The Face Suites, Kuala Lumpur. To watch the full video on The Face Suites, head on over to the YouTube link below.